Their mission is to plant endemic Hawaiian plants and trees that will live out their lives in a native Hawaiian forest. 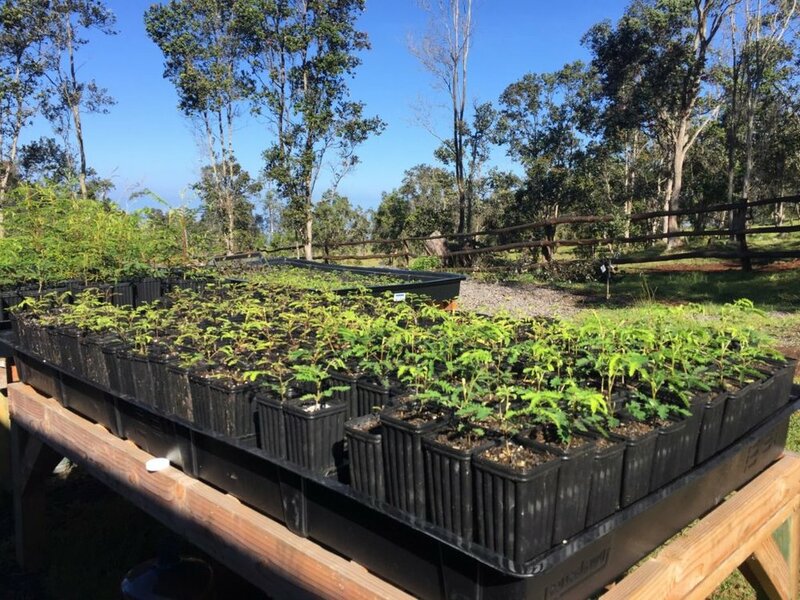 Their goal is to encourage others to help revive, replenish, restore, reconnect, and reaffirm people with the native Hawaiian forests by reforesting with endemic Hawaiian plants and trees. We offer individuals and groups the opportunity to sponsor endemic plants and trees that will never be cut or harvested. The Hawaiian Islands have lost a lot of their endemic rain forests over the past 100 years. The Koa tree is a nitrogen rich species that provides nutrients for all other endemic under-story plants in the rain forest. The Koa is a keystone species that provides food and habitat for Hawai`i’s native insect and plant species. Endemic trees of Hawai`i protect the watershed of the ecosystem and combat erosion of the forest floor. A portion of select products are donated directly to Reforest Hawai’i - an updated list of products is currently being added! Each product purchased funds the growing and planting of native Koa trees!